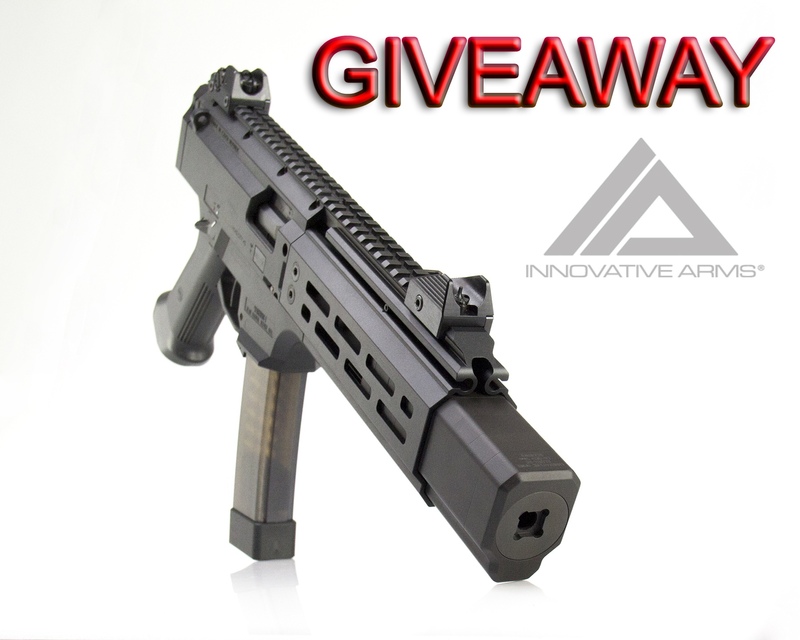 The Winner of this giveaway, for the IA-SC9 integral Scorpion EVO, is Mr. Robert J. of TEXAS! CONGRATULATIONS! The integral is user serviceable with the baffles numbered for easy reassembly, and comes with the HB Industries 6.84″ handguard kit already installed. All the MLOK slots on the bottom can all be used and all of the side slots can be used except for the front two slots of both rows. IMPORTANT: Read all the way to the bottom of this page for rules, restriction, additional information and help on entering this promotion. THE GIVEAWAY ENDS September 22, 2018. BUT WAIT THERE’S MORE…For every 1K in new Instagram followers we will select random winners who comment on our Instagram posts all summer long for swag, accessories and even more silencers! [email protected] and tell us you want to win! IA-SC9 integral scorpion information Looking for information on the W.A.R. upper? Several times a year, we have various items up for grabs, including swag, accessories, and silencers. The winners of the random drawings are notified by email and announced on our website and social media. Due to state restrictions and NFA laws, not everyone is eligible for all of our promotions. See the details below to see if you are eligible to win. On the giveaway tab, enter your name, birthday and email address. If you take advantage of every option, you’ll have extra entries! Winners are chosen randomly by computer and notified by email. The winner’s name and state are announced on our website, social media and forums. To claim their prize, the winner must email us from the email address that they used to enter the contest within five (5) days or another winner will be randomly chosen. All Non-NFA promotions are restricted to law-abiding, legal citizens of the United States that reside in the US and who are 18 years of age or older. Non-NFA items will be shipped by US mail directly to the winner. *We do not ship out of the US. *By entering Non-NFA promotions you are stating that you are a law-abiding, legal citizen of the United States, that you reside in the United States and that you are at least 18 years of age. All NFA promotions are restricted to legal citizens of the United States that reside in the US and are 21 years of age or older. They must have a clean criminal record and reside in a state that allows ownership. All NFA rules apply. All NFA items must be shipped to the winner’s class 3 dealer, per ATF requirements. The dealer is responsible for completing the transfer to the winner and provide all the required ATF forms. All dealer fees and $200 NFA tax stamp are the responsibility of the winner. Additional state/local laws and requirements may apply. Please contact your local class 3 dealer for transfer questions and for information on your state/local laws and requirements. *By entering NFA promotions you are stating that you are a legal citizen of the United States, that you reside in a state that allows ownership and that you are at least 21 years of age with a clean criminal record. Does your state allow ownership? We use gleam for our promotions. If you have issues when trying to enter the promotion there are two common fixes. (1) Enter the promotion by a computer instead of a mobile device. (2) Change your social media settings to allow your participation in promotions. If you have any problems after trying the two fixes listed above, email us with your name and state of residence so that we can manually enter you into the promotion. *Please note: Manually entering your email address will enter you in the promotion with only one point, the social media points cannot be added.